While composite (mercury free “tooth colored”) fillings are more durable than ever thanks to advancements in technology, there are still many cases where amalgam fillings perform better (and longer). This is often the case with teeth that are naturally subjected to extensive chewing force, such as molars. 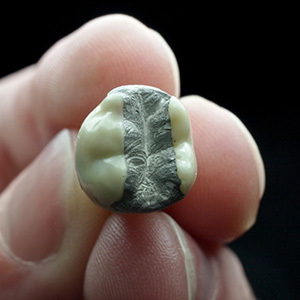 Mercury is an important part of the amalgam mixture as it contains unique elements that allow it to be manipulated with ease during placement and then harden quickly after. In addition to the benefits of longevity, amalgam fillings are also less expensive than composite dental fillings. For more information about Amalgam Fillings or to schedule a consultation with David R. Stagge, DDS and Sherry A. Stagge, DDS, call our office in Muncie, IN at Advanced Family Dentistry of Muncie Phone Number 765-287-7000.